"Everyone knows that MAS is the Muslim Brotherhood," Abdurrahman Alamoudi told federal investigators in a January interview from a federal correctional facility. On the witness stand, Alamoudi claimed not to remember everything he said, but accepted that he had made the statement after government lawyers showed him records of the interview. 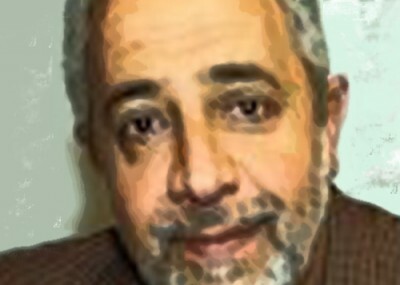 Alamoudi promised "to testify truthfully and completely at any grand juries, trials or other proceedings in the United States" as part of a 2004 guilty plea. He admitted engaging in illegal transactions with Libya and facilitating a Libyan plot to assassinate then-Saudi Crown Prince Abdullah. His testimony Wednesday came as part of a civil suit brought by Jamal Abusamhadaneh against the government demanding he be naturalized as an American citizen. His application was denied after officials learned he lied about being associated with the Muslim American Society, failing to disclose the association on his naturalization application. In a subsequent interview, an immigration official further pressed him to reveal his connection to MAS or the Brotherhood, but he repeatedly denied ties to each. Alamoudi, who had signed a work visa for Abusamhadaneh, was the original source for information about the plaintiff's Brotherhood ties. Abusamhadaneh claims he was following the advice of his attorney at the time, Ashraf Nubani, who told him affiliations with religious organizations do not need to be disclosed to the government. He also says he never was a dues paying MAS member, although he acknowledges attending many of the organization's events. Nubani testified that neither the Muslim Brotherhood nor MAS were political organizations, so he didn't think his client had any reason to disclose such ties, were they to exist. Rather, he claimed that both organizations were simply non-violent religious organizations that believed "Islam should not be confined to one aspect of life" and "in Islam church and state aren't separate." Alamoudi at times appeared reluctant to answer questions during his testimony, despite his cooperation pledge. Last summer, a judge reduced his 23-year prison sentence by six years, apparently due to cooperation Alamoudi previously provided. Court papers related to that sentencing reduction remain under seal. He nodded and waved at members of the Muslim community in the courtroom gallery who were supporting Abusamhadaneh. As he left the courtroom, he called out "As-Salaam Aleikum," or "Peace be unto you." Some in the gallery responded, "Wa-Alaikum-Salaam," or "Wa-Alaikum-Salaam." His disclosure about MAS is not new. Some MAS officials admitted as much in a 2004 Chicago Tribune article. And prosecutors wrote in 2008 that "MAS was founded as the overt arm of the Muslim Brotherhood in America." In the Hamas-support prosecution of the Holy Land Foundation for Relief and Development, investigators found a telephone book listing the names and numbers of the Muslim Brotherhood leadership in the United States. "Members of the Board of Directors" appeared on the first page with 15 names. Among those names are Ahmad Elkadi, Jamal Badawi, and Omar Soubani: MAS's founding incorporators. But Alamoudi's testimony is significant because he acknowledges being part of the Brotherhood and was active when MAS was formed in 1993. In addition, MAS officials have claimed that they may have had roots in the Brotherhood, but those dissipated over time. It is believed to be his first courtroom testimony since promising to cooperate, although he was brought to Tampa in 2005 during the prosecution of Palestinian Islamic Jihad board member Sami Al-Arian. Alamoudi was not called during the case. He apparently told prosecutors that Al-Arian's prominent role in Islamic Jihad was common knowledge in Islamist circles. Alamoudi led the American Muslim Council and enjoyed political clout that led him to be courted by Democrats and Republicans in Washington, including the White House. But his support for jihad was on public display in 2000. During a rally in Lafayette Park across the street from the White House, he defiantly expressed his support for Hamas and Hizballah. Four years earlier, he told a conference that Arabs in the United States should not pray for Allah to destroy the country. Rather, they needed to be less confrontational. "There is nowhere for Muslims to be violent in America, no where at all. We have other means to do it. You can be violent anywhere else but in America." The strategic goals of the foreign born entity Muslim Brotherhood in did not include empowering the Muslim community in America through legal, political and social avenues. It was not meant to be a venue for effective advocacy for Islamic communities in the United States, nor did its focus include domestic issues. It was an association founded alienation and on the kind of commonness that seeks roots in far away places. Remnants of the Muslim Brotherhood in America, consisted of mostly migrant students. Those who created an association here, did not design it to politically engage Muslims in civic activities and social outreach. Its limited mission was social, not political and did not include a national grassroots movement in support of constitutional religious rights, equality and multicultural inclusion for Muslims who established residency in this country. When the number of Muslims in the US grew dramatically, Islamic practitioners became one of this country's largest minority groups. The quest for social recognition, civil rights and increased visibility in American society encountered problems and barriers to equal participation and representation. The origins for any affiliation under the tenets of the Muslim brotherhood became irrelevant from an Muslim American perspective, which insisted on a new definition for its position on this side of the world: legal standing, an institutional presence, social resources. Marginalization, stereotyping and defamation had and continues to have a devastating effect on Muslim community, its youth and politically paralyzed adults. All deserved equal opportunity and the liberties other groups enjoy. Instances of discrimination and anti-Islam propaganda have become commonplace, much of it grounded in social bias and political misrepresentations of Muslims, Islam and of minorities in general. Then, like now, Muslims believed that they had limited powers or abilities to expose and address these injustices. It is, only, for this reason that a number of concerned individuals scholars, students, community activists established the Muslim American Society (MAS). Many members of the Muslim Brotherhood returned to their home countries, decreasing the support for its established programs here in America. The lack of relevance presented a challenge to the Muslim Brotherhood's pertinence from mainstream American Muslims. Finally slow dissolution rendered the prominence the Muslim Brotherhood once maintained, void. Its presence here was nothing more than a social network that promoted Islamic history and religious culture. It never sought to be a mass movement. For this reason, it did not seek to recruit the masses of Muslims. It intended to be temporary and temporary it was. There may be members of the Brotherhood in MAS, but MAS is not part of the Brotherhood. Please note that the Muslim Brotherhood is not a terrorist organization, only an organization that has historically fought to protect itself from the terrorism of dictators in the Middle East. If history is to be told, let it be told honestly. Muslim American growth required the evolution of organizations willing to deal with the future development of the religion of Islam and the Muslim communities in this country, willing to enhance the quality of Islamic religious integration already in progress, explore all existing opportunities and plans for community development, preparing Islamic agendas for democratic protocols and social action, and create a formal and informal institutional framework for to ensure the continuity of this effort, besides outreach. Muslim American Society (MAS) was specifically designed to meet these challenges. One must admit, the work remains undone. Still, through the heart of this nation, many Muslims, from around the world, have found a home. Even through adversity, the great beauty of this nation remains and, more often than not, rooted in the character of the majority of its citizens, including those who've inherited its numerous blessings. Muslim organizations must continue the work of promoting civic participation, multicultural and diversity. So should all Americans. Hope remains firm in its sense of idealism. For no matter how far current policy and practice have strayed from the attributes that were part of the founding vision of this Nation, no matter how much America has ceased being a universal dream for all its people, and no matter how distant she has departed from her moral nucleus, she remains, in the end, a nation built on the ideals that gave her birth. If American Muslims want a share of this dream, they will have to rise to the challenge or become content with what happens when you bury your head in the sand. Those who support Muslim grass-root movements will support and advance the dream. We will also care for the task of confronting our own apathy and that of our own co-patriots when dealing with what remains unprincipled and non-neutral: a situation which amounts too often to a tacit, often felonious collusion of explicit evil and prejudice. It is our mutual task to force hard issues of this shape and character in terms which cannot be contained, sidestepped, ignored: then go to on, with those who hold liberty dear, to fashion methods of strategic intervention on a scale some of us have not dared to speak of. The undertones of the Pledge of Allegiance and religious prayer need not be joined in an uneven chorus, nor should the two be fused into un-synchronized anthem born out of alienation and discontent, as the American Muslim struggle for a particular way of life. It is a work in progress. The Islamic experience has much to contribute and also has much to learn. American Muslims are perhaps the longest standing case of a group whose self-definition has not fused, without circumspect, into the multicultural melting pot. Like, others, we will overcome. We will. Muslim subculture and other American subcultures must begin to learn from one another, both in terms of their respective historical experiences and in terms of contemporary sociology. Only in this way can we pursue our individual strengths to the limits of our possibilities- not as Christian or Muslim, Anglo or Arab, but as men and women is pursuit of the American dream. Decades ago I made a choice to be a Muslim. That decision took me around the world and allowed for an "in camera" view into lives that have come to be known as an essential part of Islamic history and Muslim American evolution, but that will never negate or dilute my American "self" and love for the land that gave me birth and the choice to believe as I wish.